On a cloudy Friday morning a The Big Idaho Potato rolled into Tampa. The potato is part of a stunt show that Idaho Potato puts on Nationwide. You may wonder why the giant potato was in Tampa. One four letter word - Datz. Datz Deli, the wildy popular restaurant located in South Tampa is known for thinking outside the box on everything from their menu to their events. Datz uses over 3,000 lbs of potatoes a year making their famous homemade chips. 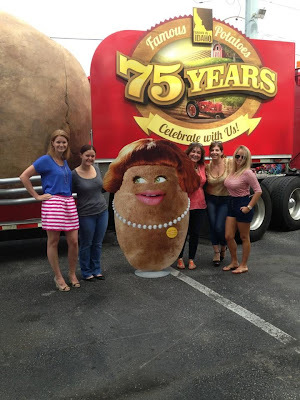 It only made perfect sense for the Big Idaho Potato to make a stop in Tampa on it's National tour. While I would love to tell you that this potato was real, it is man made. This huge traveling stunt show would have taken 10,000 years to grow. That would be a giant and ancient potato. Mr. 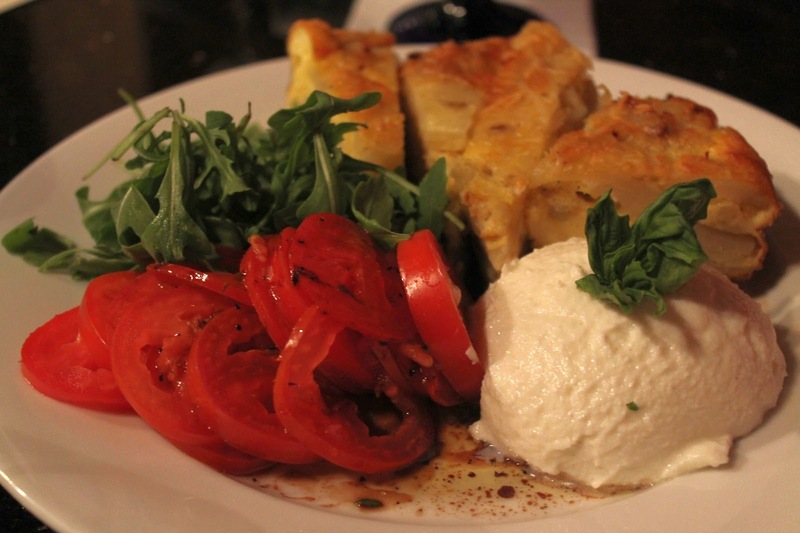 Potato weighs six tons (12,130 pounds), which is equal to 32,346 medium-sized Idaho® potatoes. is 1,102 times heavier than the largest potato ever grown, which weighed 11 pounds. If you wanted to bake a potato this size, it would take you 2 years and 9 months until you could throw sour cream and bacon on it. 30,325 servings of mashed potatoes and over 1,500,000 average-sized french fries. I could not imagine driving down the interstate, seeing the potato. Myself along with 4 other Tampa bloggers took this opportunity to strike a pose with Lula Bell, the giant potato cutout, sporting pearls. I'm not going to lie, this potato freaked me out just a little! Datz showcased their famous potato chips for this event. 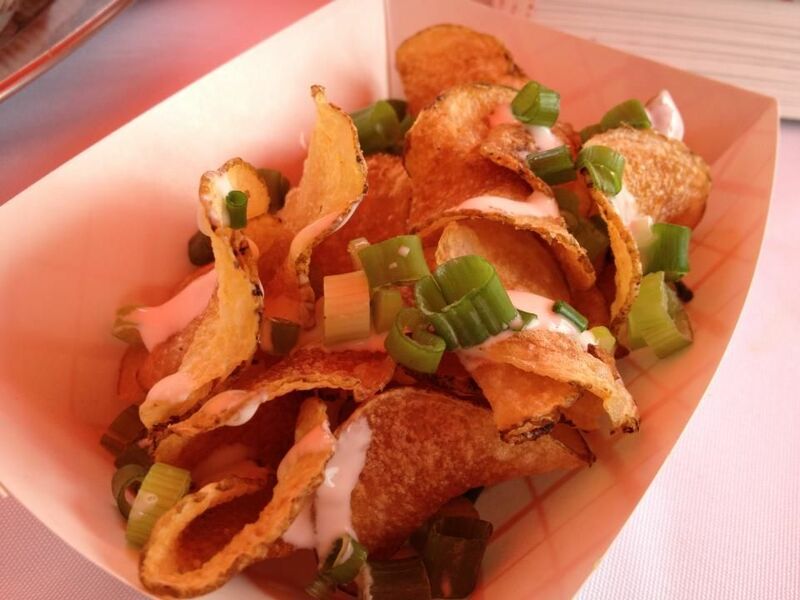 Datz homemade chips are sweet-n-salty with a creamy blue cheese drizzle and green onions. They are served with all of their sandwiches and burgers. I'm not a fan of blue cheese but I love these chips. 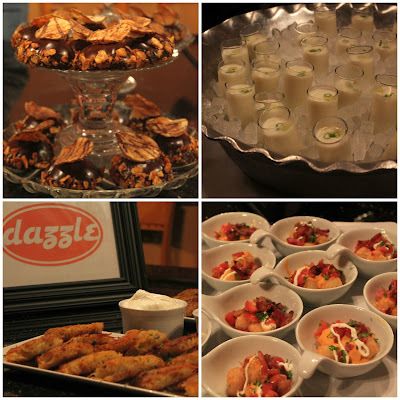 We were treated to some delicious potato goodies from Datz catering company, Dazzle. Top left - Mini chocolate-potato cakes with chocolate ganache and housemade potato chip crumbles. Top right - My favorite item of the day, Vichyssoise shooters - a classic chilled potato leek soup and it was topped with truffle oil! Bottom Left - Latkes and sour cream. Bottom right - Tater tots, melted cheese, bacon and pico de gallo. It was amazing food to celebrate one giant potato. Today, Datz is launching their brand new Summer Wine list, The Great America Wine Collection! The new wine menu is a graphic created by Winefolly.com. Click on the photo below to see a larger version of it and to check out all of the wines on their Summer wine menu. 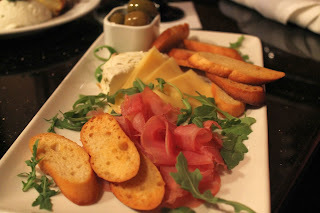 It's an innovative menu - instead of looking for a chardonnay, look for the color bubble you want to drink, then the flavor you are in the mood for. So if you are in the mood for an intoxicating white, you could go for Luna Vineyards Lunatic, 10g 40b. If you were looking for an intense red, Stratton Lummis The Riddler Lot 2 39b. If spicy was more your mood, Troublemaker “Blend 6” 36b. It's a fun new approach on a wine menu. 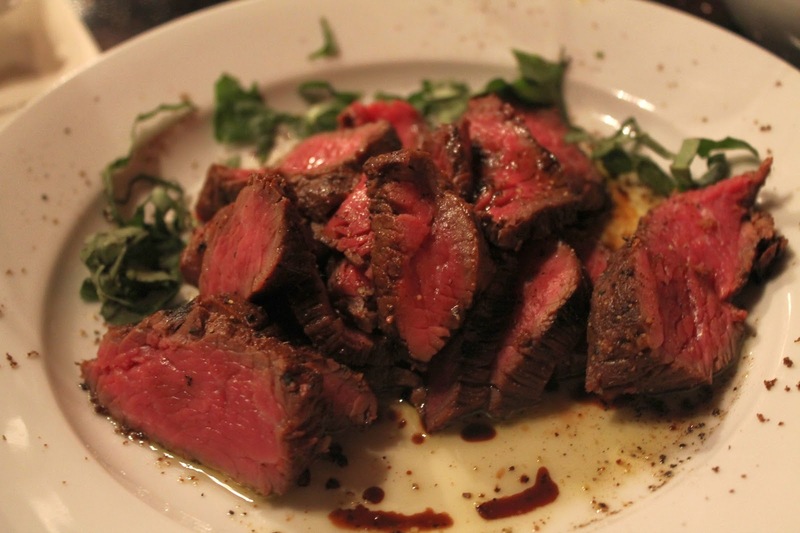 We had the opportunity to sample a few wines on their menu. I liked the majority of the wines we sampled and actually found myself in wine awe a few times. I am by no means a fan of Riesling. When we were presented the NxNW bottle and I turned my wine snob nose up to it, until I tried it. I really liked this wine! We also sampled Est 75 Sauvignon Blanc, which was one of the best SB's I have ever had. Dazzle presented us with some amazing food to go along with the wine we consumed. Check out the piggy bowls! If you know me, you know how much I love pigs and have a huge collection in my kitchen. 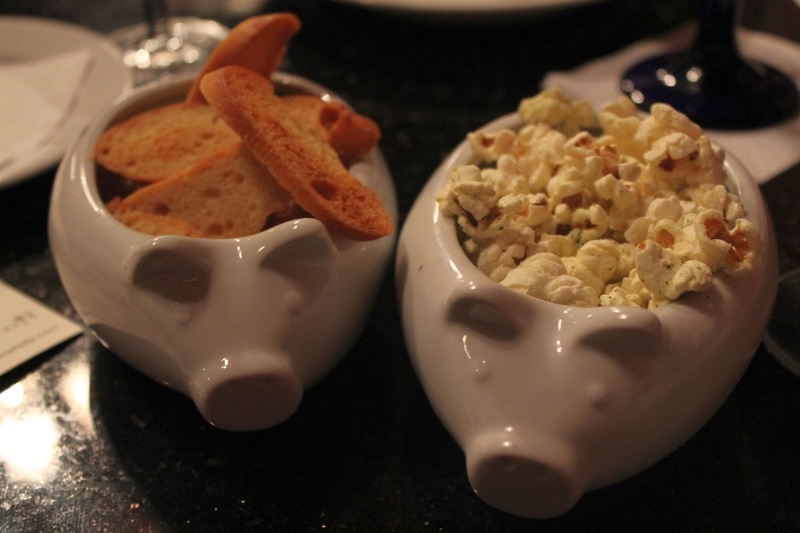 I must own these bowls! 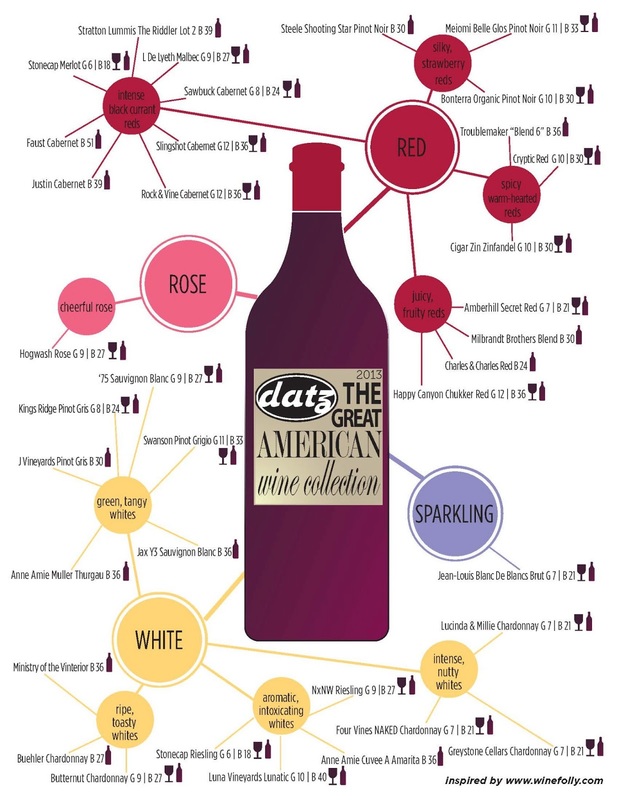 What do you think of Datz new wine menu? Heу there! I just wish to offer you а big thumbs up for the great info you've got here on this post. I will be coming back to your blog for more soon. Such a crazy potato! I was seeing pictures popping up on instagram and was very fascinated!